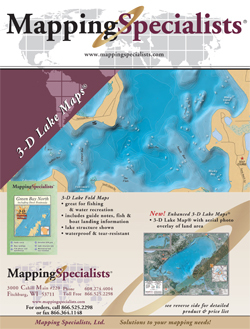 Mapping Specialists’ 3-D Lake Maps offer a new and unique way to discover a lake. 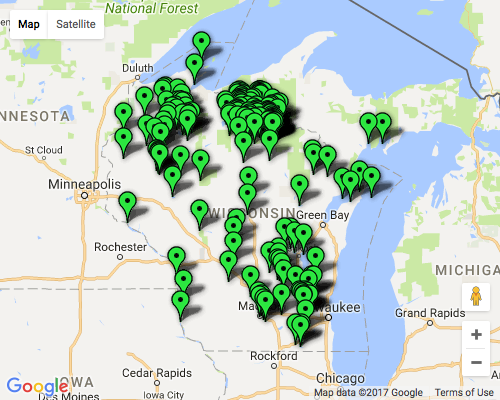 The maps display a relief model that allows the user to view the lake in 3-D. 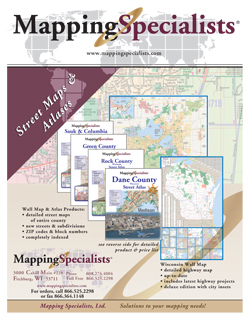 Symbols showing plant life, rock structure, sand reefs, and stump fields, all in full color, give the maps an eye-catching appeal.